FOCI Arts presents an evening combining the art forms of speech and song with performances by Omaha-based soprano Amanda Deboer Bartlett and readings of recent work by New Orleans poet Lauren Capone. These performances will be experienced alongside The Beauty Fools, a new show of work by artists Lala Rascic and Timothy Weeks. FOCI Arts’ series ANODE (“Artistic New Orleans: Discussions and Extensions”) returns in 2016 with San Francisco-based contemporary music trombonist Weston Olencki. Olencki specializes in hyper-extended instrumental technique, intensive performance physicality, and re-definition of the performing body. His ANODE 16.1 program will feature some of the most imaginative music of today, including work by Aaron Cassidy, Andrew Greenwald, Evan Johnson, Michelle Lou, Timothy McCormack, Philip Schuessler, and Katherine Young. 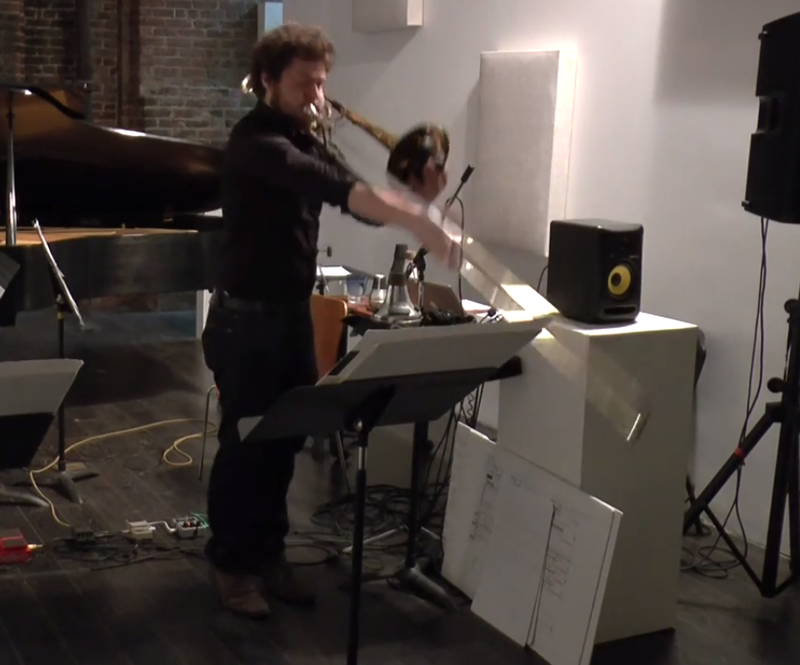 Olencki’s severe commitment, unimpeachable focus, and stunning technique make him one of the most thrilling young performers in American contemporary music. He has performed with some of the country’s most significant new music ensembles, including Ensemble Dal Niente, Fonema Consort, and Wild Rumpus, and is a recipient of a prestigious Stipendenpreis from the Internationales Musikinstitut Darmstadt. His visit to New Orleans promises to explore the very outer reaches of the musically and humanly possible. ANODE 16.1 will consist of a performance and preconcert talk by Olencki and New Orleans-based composer Ray Evanoff at Southeastern Louisiana University on April 7, 2016, and a concert presented in conjunction with Versipel New Music in New Orleans on April 9, 2016. Details and full program to be announced soon. FOCI Arts will be participating in the annual experimental performance festival Omaha Under the Radar during July 6-9 in Omaha, Nebraska. The program, “Music Through the Looking-Glass,” features works that are connected to but ultimately lie outside of conventional concert music, exploring the interplay between the familiar and the strange through the veritable looking-glass of contemporary concert music. Performed by Mabel Kwan and Ray Evanoff. For more information about Omaha Under the Radar, including the 2016 festival line up and schedule, visit their website.